SK08 & SK08-E Class B Pyranometers. 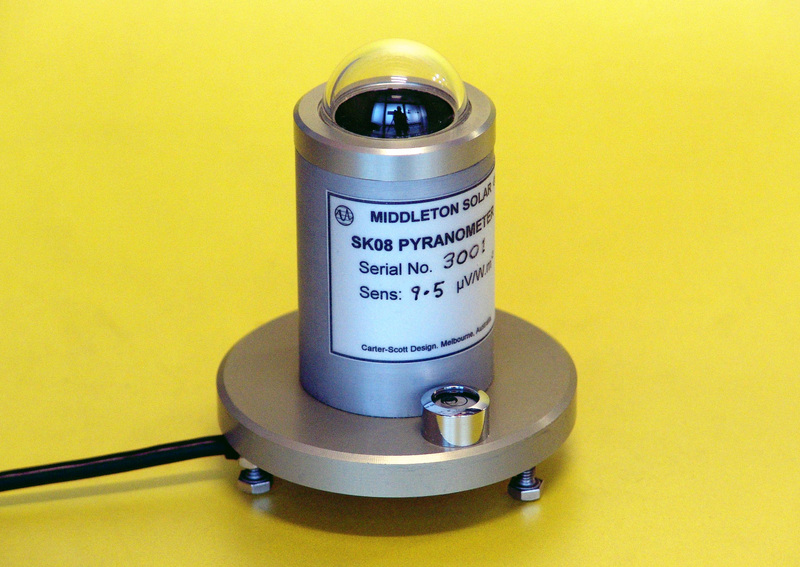 The Middleton SK08 is an affordable pyranometer for the measurement of global solar irradiance on a plane surface. It meets the ISO specifications for a Class B pyranometer. The SK08 incorporates a passive thermoelectric sensor. The SK08-E version has an inbuilt signal amplifier. Excellent directional response, and minimal thermal errors.